Well pumps are used to deliver water from a well to a home that is not connected to a municipal water supply. They are also commonly used for small-scale irrigation and livestock watering. Well pumps are available in shallow, deep well convertible, and submersible designs. 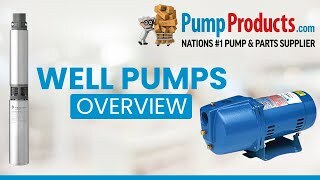 PumpProducts.com offers a large selection of top brand well pumps to suit every application.